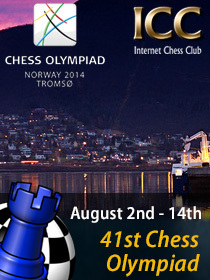 From August the 2nd to the 14th, in Tromso, Norway, chess players from all over the world are gathering to participate in the most important team competition: The Chess Olympiad. Russia presents the highest rated Team, with an average rating of 2767, which is quite impressive: Grischuk, Kramnik, Karjakin, Svidler and Jakovenko. Ukraine and France follow, with their really strong teams. Then Hungary, with Leko and Judit Polgar, and the United States. The team for this Olympiad is quite strong, with Nakamura, Kamsky, Onischuk, Akobian and the young Sam Shankland. China, Azerbaijan, Armenia, England an Israel complete the list of those teams who can aim to the medal zone. World Champion Magnus Carlsen plays for Norway, and Fabiano Caruana for Italy. We have a lot of ICC commentators who are playing in the Olympiads: Gawain Jones (ENG), Varuzhan Akobian (USA), Gata Kamsky (USA), David Smerdon (AUS), Peter Svidler (RUS), Miguel Illescas(ESP). ICC will relay as many games as possible, and we will have a recap video service, with TRIVIA at the end of it, where ICC members can win free months of membership. GM Jonathan Speelman, a well known English GM, ICC commentator and columnist, shares with us his thoughts after 5 rounds. The opening salvos in Tromso were fired well before the first round itself with dark mutterings about whether the money was in place and the massive (over)reaction of the organisers when they banned the Russian Women for being late to register, leading to threats and counter threats and finally a rapprochement. I'm off to Tromso tomorrow and will get some idea of the lie of the land then. But it is very possible nowadays to get a strong impression from afar at least of the games themselves; and indeed while I'm there I expect to follow them most of the time on the ICC in the press room since that's much the easiest way. The opening round on Saturday August 2nd featured the traditional massacre. This is an inevitable function of the pairing system of top v bottom, the more so when there are a large number of teams: 157 competed two years ago in Istanbul and there are 170 odd in Tromso. In any case, the first top team not to score 4-0 was Norway 1(seeded 14) which with Magnus Carlsen resting made just 2.5 - 1.5 against Yemen (100). The hosts made the headlines in round 2 as well but in two quite different ways. In his first game, Carlsen was able only to draw against Tomi Nyback from Finland(56) and the other three games were drawn too. But Norway's second team of young IMs made a superb 2-all draw with mighty Ukraine (2), Frode Urkedal defeated the great Vassily Ivanchuk and the Ukrainians were only able to retaliate on the bottom board where Alexander Moiseenko defeated fourteen-year-old Aryan Tari. The first really big clashes began on Monday. France (3) beat defending champions Armenia (4) by 2.5 - 1.5. Levon Aronian looked in quite good form against Maxime-Vachier-Lagrave but was unable to convert ; Laurent Fressinet won the only decisive game against Sergei Movsesian. Holland (11) beat USA (6) 2.5 - 1.5: Hikaru Nakamura can't have liked his opening because he took an early repetition against Anish Giri and there were three decisive games. Slightly further down there were lots of drawn matches and a couple of close ones but Russia (1) whitewashed FYROM (54) 4-0 and looked threatening. However, on Tuesday the Russians had the worse of four draws against China (7); while on the top board Azerbaijan (8) beat France the only decisive game being a win for Shakhriyar Mamedyarov against Vachier-Lagrave. Armenia faced Norway 1 on Wednesday which meant that Aronian was White against Carlsen. Carlsen had to ditch a pawn as damage limitation but held on fairly easily. As they hit the rest day seven teams had 9/10 match points. Nobody has yet given the slightest notice that they will take the Olympiad by storm and I would expect the result to be determined only at the very last. I arrived in Tromso on Thursday evening and will be here till the end first to attend one of the FIDE meetings and then as a spectator. Olympiads are so huge that it’s impossible for the organisation to be entirely smooth and after getting a lift from the airport I found that the small hotel I’d been assigned to had no knowledge of me. This turned out to be a boon though because after finding the FIDE offices which were just a few minutes’ walk away, as is everything in the city centre, I got upgraded to a much posher one. This is a lovely little city and the weather is still pretty warm, requiring either a tee shirt or a light jumper at worst. Since we’re actually in the Arctic Circle there is hardly any night – the official sunset and sunrsie are round about 10.30pm and 3am but in practice it doesn’t get seriously dark at any time. With the election due on Monday it’s never far away from our minds. I’m now staying in the Clarion Edge Hotel which is where the Ilyumzhinov campaign has its hub; while the Radisson Blue less than five minutes away has the FIDE offices and meetings; and the Rica Hotel a couple of minutes further is the hub of the Kasparov campaign and has teams staying there including England. 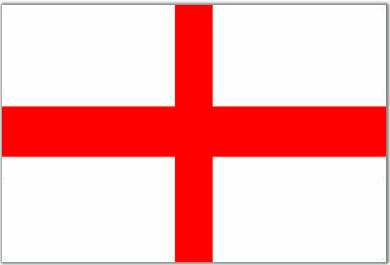 I’ve asked numerous people about the outcome but it still seems pretty murky: we’ll see on Monday. The playing hall is vast and pretty roomy. Security is far from oppressive but mobile phones are completely banned and in order to get to the Press room you have to use a separate entrance. The press always appreciate being looked after and we have an excellent wireless network – the absolute priority – and also nice free soft drinks and snacks: today there was carrot and orange soup and baguettes with beef or houmous. The playing hall is so tense that although I have got full access to it I’m mainly watching on the ICC in the Press Room as if I were at home. Today Russia crashed to a 1-3 defeat against the Czech Republic – a real shock. Azerbaijan won their match vs. Cuba and now lead solo, followed by China, Czech Republic, Bulgaria and Romania, all one point behind.